Luxembourg will make an initial investment of 200 million euros ($227 million) to become the “Silicon Valley of space resources” under an initiative that will primarily benefit two American asteroid mining companies. The investment will fund asteroid survey missions by Deep Space Industries and Planetary Resources that will be launched within three years, government officials said at a press conference on Friday. Luxembourg will also fund research and development into technologies needed to identify, extract and process minerals, water and other materials. The two companies have agreed to set up operations in the European tax haven. Deep Space Industries has signed an agreement with the Luxembourg government to work together, officials said. A similar agreement with Planetary Resources is in the works. In addition to funding space missions and R&D, Luxembourg is considering making direct capital investments to become shareholders in the two companies, Vice Prime Minister Étienne Schneider told journalists. 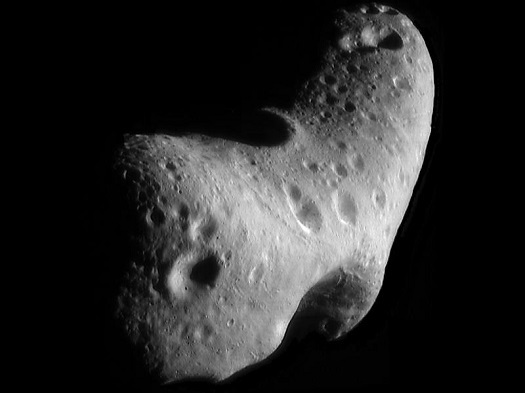 Luxembourg is also drafting legislation that will legalize the right of companies to extract and own materials on asteroids, the moon and other celestial bodies. The legislation will be similar to a law passed in the United States last year. Schneider and Prime Minister Xavier Bettel announced the measures during a press conference in Luxembourg last week. They were joined by two members of the spaceresources.lu Initiative Advisory Board — former ESA director general Jean-Jacques Dordain and former NASA Ames Research Center director Pete Worden. Schneider said the government’s goal is to attract other space resources companies to Luxembourg so the tiny nation can become one of the world’s top 10 space nations. He believes there synergies in related areas such as robotics, artificial intelligence and additive manufacturing. Since Luxembourg announced its initiative in February, officials have been contacted by other countries who want to become partners, Schneider said. Some bi-lateral meetings have been held. Worden said the plan is to have a large number of companies located in Luxembourg within a year. He expected more traditional companies that are not in the space business to become involved. Schneider said Luxembourg will lead an international effort to develop a clear international legal framework that protects the rights of companies to extract and profit from extraterrestrial resources. In addition to being a tax haven of long standing, Luxembourg now looks to be making itself into an OST haven as well. Now all they need is a spaceport! In the immortal words of Martin Brody – you’re gonna need a bigger boat. smart move on Luxembourg’s part. They are moving into an area that is just getting started. I find it interesting. When the U.S. passed the first law in November making it legal to recover space resources there were many articles claiming it was “illegal” and “imperialism” although the Space Resources Act was consistent with United States space policy dating to the Eisenhower Administration and with the generally accepted interpretation of the OST by the space faring nations dating to the debates on it in the 1960’s. What is even more funny is that since Luxembourg doesn’t have a launch industry, nor anywhere to build a launch site let alone a landing site, these American mining firms will still likely launch from the United States and as American corporations be required to get U.S. launch licenses and licenses to return payload from space. So it makes little sense for them to be dealing with Luxembourg. If they incorporate a subsidiary there they will just add ITAR to the paperwork requirements, while I imagine the Treasury Department will use the launch licensing process to force them to pay their fair share of taxes to the United States. The U.S. Treasury is getting increasing aggressive with American firms involved with tax havens like Luxembourg and this would be an easy way to make a point on the risks of dealing with tax havens like Luxembourg. The $227 million sum that Luxembourg is using to bring them over is interesting, but may not be worth it in the long run. The only thing that does make sense would be if they used it to develop their first generation sensing systems on Luxembourg’s dime, although they will still include expenses for ITAR restrictions, and then abandon them when it comes to actually doing the mining. Since these systems won’t require being returned to Earth they would fit well with the Luxembourg model that has developed with comsats. But unlike comsats there will be additional ITAR issues for these remote sensing systems. Nice analysis. But I imagine that Luxembourg already has an answer for each of your points. This ought to be interesting. Yes, and it will be interesting to see what it is. I wonder when they will actually release some details on this new law. For example, exactly what is required to qualify for the $227 million? Also how will they be able to extend it to foreign firms without violating Article VI of the OST? Nice talk, but Article VI is very clear on limiting a nation’s regulatory activity to its nationals. The only exception is if its an treaty organization (like Intelsat) when the members of that organization that have signed the OST are jointly liable for their activities. The Guiana Space Centre (its proper name) belongs to France since it is located in a French Department (state) and France built it. But since the 1970’s France has allowed ESA to use it for launches. This means that commercial launches, Arianespace and Azercosmos, are under French law while the ESA launches will be governed by ESA. France shares the Spaceport with ESA of course, but it is still french territory as far as I know. Luxembourg is home to SES, the largest satellite company in the world. They probably have a say in lx politics. I wonder if they become a leading space nation thanks to the once famous Radio Luxemburg? What a spinnoff.